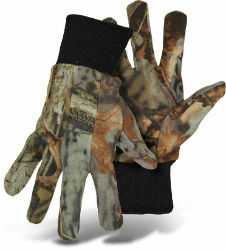 General purpose gloves made from a cotton polyester blend jersey. PVC dotted palm for good grip. Extra-long knit wrist provides extra protection and seals out dirt and debris. Clute Cut Design with continuous thumb.